We provide occupational safety for health care, industry, and energy. For radiation oncology patient care, a specialized dosimetry system is available for the secondary patient dose verification quality assurance. We can assist weather you manage your own in-house monitoring program or choose to participate in our radiation measurement service system. ​ ​ We now offer real time dosimetry services powered by Raysafe. It is designed to reduce exposure during a procedure. Hanil Nuclear has served the market place since film badge to OSL today with expert in technical services since 1980. OSL is an abbreviation of Optically Stimulated Luminescence Dosimeter. 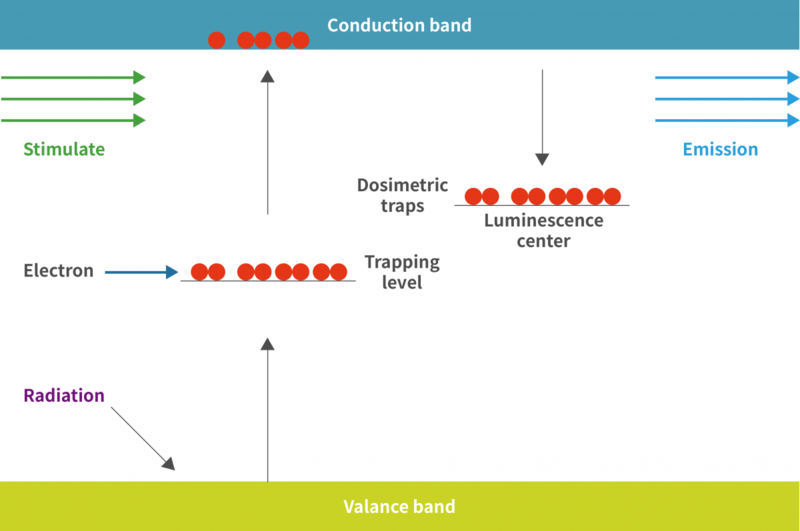 The principle of measurement of a light-stimulated fluorescence dosimeter is that the electron is trapped in the crystal by irradiating the element containing C in the main ingredient of OSL crystal element, Al₂O₃, When a light having a wavelength (stimulus) is applied, a principle of generating light (fluorescence) of another wavelength in response thereto is used. The amount of fluorescence generated by this method is proportional to the incident radiation dose, and the amount of fluorescence generated is counted in the photomultiplier tube to measure the radiation. 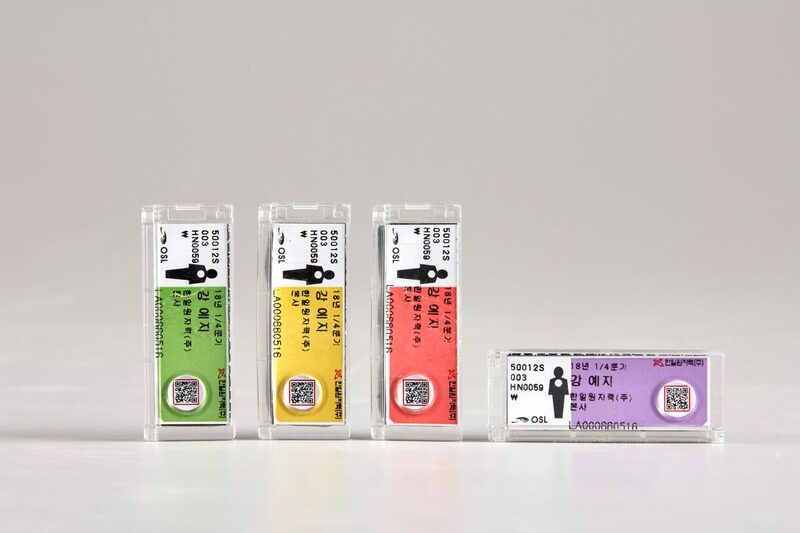 OSL dosimeters can be packaged for occupational radiation monitoring, area radiation monitoring, patient monitoring, emergency response dosimeter formats and more. Our services are available to service your organization's personnel radiation safety needs. The OSL dosimeter is a personal and environmental radiation measuring instrument used in various facilities and sites handling radiation such as medical facilities, research facilities, and industrial fields. In order to control the exposure of workers handling radiation, various laws and ordinances recommend wearing a personal dosimeter when working with radiation. The sensing element is made of aluminum oxide and is lightweight, compact, and very strong against impact. There are approximately 30,000 radiation workers in Korea using the OSL dosimeter. OSL dosimeters are measured by the dosimeter designated in accordance with the relevant laws and regulations, and reports are made to the main divisions, so please use them with confidence.